On finding a story worthy of the big screen after hearing it all as a development exec and the challenge of doing it justice as a filmmaker. Like most filmmakers who get that special phone call in November, Tim Wardle was elated when to learn that his film “Three Identical Strangers” would be premiering at the Sundance Film Festival, excited for the film’s future, of course, but equally if not more thrilled to confirm that it was a story worthy of the big screen. As the director of development at Raw, the UK production company best known in the States for its creative director Bart Layton’s narrative/nonfiction hybrids “American Animals” and “The Imposter,” it’s been Wardle’s job to sort through true life stories that would make compelling television, having heard just about every pitch imaginable at this point and as picky he was about projects to work on in any medium, making the leap to film would require something truly special. 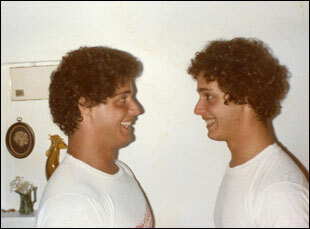 If the mere fact that “Three Identical Strangers” played at a proper film festival wasn’t enough for Wardle, it became one of the festival’s biggest word-of-mouth hits, a monster crowdpleaser that nonetheless wades into some pretty dark corners as it uncovers troubling details about the circumstances that led to the brothers’ separation. In fact, other filmmakers had attempted to bring the story to the screen ever since the triplets became a cause celebre in the 1980s, taking New York by storm after Bobby and Eddy learned of each other by attending the same community college and David saw their picture in the Post. Yet legal threats connected to the adoption agency that placed the boys in different homes curtailed those efforts, leading to a four-year gestation period for Wardle to work out the nuances of that may have been frustrating at times, but ultimately gives the film the air of a nailbiting thriller in asking what was there to hide. While the gregarious brothers seemed destined to become movie stars one way or another — their charisma led to a previous cameo in Madonna’s “Who’s That Girl?” — their captivating story with all its highs and lows is told with exactly the right amount of gusto, not only amplifying the joy of discovery they felt when they were reunited, but pushing the envelope as an investigation, doggedly getting to the bottom of how they were pulled apart and exploring issues of environmental conditioning raised when the young men spent their formative years with different families while sharing the same genes. It’s a dazzling feature debut for Wardle, who previously had only directed for television, and recently in Los Angeles, the filmmaker spoke about the burden of doing justice to such a remarkable story, bringing out the best in his subjects and how a kindness from Billy Joel contributed to the film’s propulsive fun. When this first crosses your desk at Raw, how much of the story was there versus how much you needed to track down on your own? In the early days, and probably [as we were going] into production, we knew about 50 to 60% of the story. We knew that there were these three brothers who were separated at birth, raised by different families, who were unaware of each other’s existence and met in the 1980s by complete coincidence. And I knew there was something slightly sinister behind their separation, possibly involving science, but that was it, [which led us to] the question we set out to answer when we started to make the film — why were they separated and what was the motivation? Was the family receptive when you come calling? Not initially. It had had been a long time since anyone wanted to do anything on the story and they weren’t in a very good place in their relationship. And when you know their life story, you understand why it might be hard for them to trust people, so they were very suspicious and cynical. A large part of the four-year development process was earning their trust, which was really tough to do. When you have this idea of what the story is in your head, what was it like meeting them in person? The interesting thing with this story [was that] when you make a documentary, you always have this duty of care that you have to the subjects of the film. But with this one, because the story was so incredible, I also felt that I had this duty of care for the story, like I’ve got to tell this right. So going and meeting them for the first time, I hoped they were going to share the details of the stories that I’d need, but more than that, I just hope they were going to be emotionally honest. That’s what you’re looking for as a documentary maker. It could be the best story in the world, but if people can’t tap back into how they felt at the time and how they feel now about what happened as opposed to just [describing] what happened, then you’ve got nothing. You’ve got a cold, dry documentary. And the fact they were willing to go there emotionally, I realized quite early on, was amazing because without that, we wouldn’t have the movie we did. I imagine there was a lengthy interview process before they go before the cameras. What was that like? Absolutely. The lady who developed the film with me, Grace Hughes-Hallett and then Becky Reade, the producer on the film, spent a lot of time chatting through the stories with the boys, just getting a sense of the fullness of it and every time we’d speak to them, there’d be ten new details I knew nothing about, so we’d try and craft, with the story that was known, the past tense bit of story to get a sense of how we wanted to tell it and what the best way was. Then obviously, you have to go and interview people and you’d have no way of knowing if they’re going to tell you the stuff they told other people, [if] they were going to remember it differently. So you need to go in with a structure, but you also need to have the flexibility to go whichever way they want to take you. Was there anything during the course of shooting that changed your perspective on what this could be? Definitely. The nature/nurture debate, we’d change our mind all the time, but one of the things that happened during filming but wasn’t [a part of the film] was that I became a father. I had a son and when he was born, he came into the world with a personality and I was not expecting that at all. I know that sounds crazy, but I thought kids were born pretty much blank slates and you could pretty much shape them however you wanted. That made me think a lot about the nurture side of the debate. Also on the production, we came across people that talked to us that we weren’t expecting [to be able to talk to] and they would completely change our perspective. For example, the researcher who appears halfway through the film, we didn’t know we were going to find her. We didn’t even know she existed. So to have her suddenly come up and talk to us, it really changed how we saw the story structure. Was the balance always there between the brothers’ personal story and larger story you ultimately pursue or did that shift over time? What I always loved about the story was that you had this brilliant human interest story at the heart — the story of brothers reunited, separated and then reunited again — that was very relatable. But what made it extra special was that you had a much bigger story that it allowed you to tell – a story about free will, destiny, nature/nurture, and it’s rare with documentaries. You might have quite a good story, but it can be thin, or more commonly, you get a story that’s about an issue, but you don’t really have a story. But this had both and the relative balance of the two evolves as you’re making it, but I certainly knew that for me, there were three narrative strands – one was the boys’ story, one was the story of the reason for their separation and the other was the thematic move of nature/nurture – and intertwining the three — it starts off the film from a nature perspective and moves more to a nurture perspective — was something we really figured out in the edit. One of the best bits of editing involves the brothers meeting their significant others, scored to Billy Joel’s “Scenes From an Italian Restaurant.” How did that sequence come about? I have a fantastic young editor, Michael Hart, and it’s his first feature as well, so one of the joys of making this film was making it with other people who it was their first feature as well, so when we’re at Sundance and everything, it was like we were going through that experience together. And I don’t have a lot of knowledge about Billy Joel, but that “Scenes From an Italian Restaurant” sequence, he knew that song, so he cut it in. Obviously everyone loves it because the lyrics reflect the names of the contributors and it was amazing, but I’m like, “Michael, we can’t possibly afford this.” [Still] we contacted the record label and they [quoted] $20,000, or something like that, which we could never afford. That was ten times our entire music budget. Luckily, we had a music supervisor who said, “Look, just write to Billy Joel.” It was right in the middle of the edit and I thought, “This is a waste of time,” but I wrote him a letter saying how important the song was and why we liked it. He remembered the story and he allowed us to have it for a nominal fee, which was incredible because I also learned it was his favorite song that he ever wrote. And because he was generous enough to allow us to have it for a very low cost, all the other artists brought their costs down because he was the biggest one, so it enabled us to afford more music. So Billy Joel…I’ll owe him forever. I’m surprised to hear you might not have had as many specific song selections in mind from the start. They do so much to set the tone. It does, particularly at the top. It’s interesting, that opening sequence, we have “Since You’ve Been Gone” by Rainbow and again, it’s a weird coincidence. We didn’t know if we could clear that, but it was written by Russell Ballard, a British guy, and by coincidence, someone saw on my desk I had Russell Ballard’s “Since You’ve Been Gone” as one of the songs we needed to clear, and it turned out that [the] grandfather of my colleague was best friends with Russell Ballard, so he contacted him and he agreed to let us have it. It was a series of incredible coincidences. And we tried all these songs at the top of the film and the reason I think “Since You’ve Been Gone” works is because it’s ironic. People don’t really realize when they’re listening to it, but [Bobby is] driving to college and there’s someone singing about “Since you’ve been gone, I’m out of my mind…can’t cope” and [here’s this guy who] finds out he’s been living without these two people for 19 years of his life. So we had a lot of fun with the music choices. Myself and the editor are really big ‘80s movies fans, so we would look at things like “Secret of My Success” – that’s why “Walking on Sunshine” is in there. Meeting Lawrence Wright must’ve been a really big boost to the production, particularly in regards to the second half of the film. What was it like coming across his book about twins and his archives? We knew that he had written a little bit about the study and about the story, but I was absolutely terrified of approaching him because he’s a legendary journalist and a very busy guy. I also felt he might feel some ownership over the story and might not want to share it. But he was really wonderful and really happy to help. He actually came onboard as a consultant, and it was a long time ago, so it took a long time for him to get up to speed, but he’s a smart guy and he keeps the most meticulous notes I’ve ever seen, so he was able to tap back into that knowledge he had from the mid ‘90s when he wrote his piece. When conducting research on my own, I find that era to be one of the most difficult. It actually seems like pre-Internet is easier in some ways to find documentation or after 2000 when the Internet reached mass adoption. Did that complicate things? You’re so right, but what makes this story wonderful and actually a dying breed of story that occurs in this pre-Internet era where it’s still recent enough that a lot of the people involved are alive, but it’s before the internet, so it isn’t overly well-known. Everyone’s doing stories that are easy to find information on, so what was wonderful about this is that it required us to do so much of our own investigation. And Becky Read, the producer, is a journalist by training and she did a proper investigative research into all aspects of this story over months and months and months. At the end, when we sent the film to Lawrence Wright to watch, we got this very short e-mail back – he doesn’t write long, flowery e-mails — but he just said, “Congratulations. There’s some great journalism in this film.” For us, that was like the pinnacle. While I wouldn’t want to spoil what happens, the films ends with something of an ellipsis. Was it obvious to decide when you should wrap up production? No. No. It wasn’t. I had arguments with my boss about I need to keep going, I need to keep going. There’s a point hen the money runs out, especially when flying to America to make this film. Every trip we’d do would incur huge costs, so we just had to pull the plug at some point. I also think when I started making the film, I thought I had to find all the answers, [that] the film will only succeed if I find all of the answers. But what I realized making it was that actually, particularly in documentary, not having all the answers in the end is fine as long as you change the audience’s understanding of the story and they’ve acquired some new knowledge by the end. They don’t need to know everything and actually leaving a film with questions at the end is a good thing because it’s a discussion point. People leave and they start talking. So that realization was really helpful in terms of my growth as a director. What’s it been like to see the reactions to it? It has been one of the best experiences of my entire life, and I know that sounds hyperbolic, but it really has. I never expected I would get to show any film I made to audiences and the film takes the audience on a real rollercoaster, so watching people sit together and experience it and the joy and the gasps and the laughs you get at the start and then how that turns, it’s just extraordinary. It really has hammered home to me why it is important for documentaries to play in theaters because that is just an incredible shared communal experience and it deserves to be seen in that forum rather than just on television on your own. 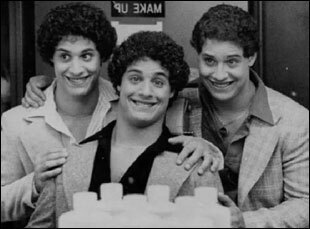 “Three Identical Strangers” opens on June 29th in Los Angeles at the Arclight Hollywood and the Landmark and in New York at the Angelika Film Center and the Landmark 57 West. BAMCinemafest '18 Review: Things Are Not As They Appear in Aaron Schimberg's Disarming "Chained for Life"
Interview: Clio Barnard on Navigating Treacherous Waters in "Dark River"